The province may have recorded fewer sales and lower prices, but B.C.’s real estate board remains optimistic. "The decline in the average home price was due to a change in the composition and location of homes sold in the province," Cameron Muir, chief economist with the British Columbia Real Estate Association, said. "Fewer sales of high priced detached homes relative to all other homes sales in Vancouver as well as fewer Vancouver home sales relative to the rest of the province has caused the average price statistic to decline." Last month, a total of 8,945 homes were sold in British Columbia. That’s up 1.5% year-over-year but, as the board fails to mention, is also down from July’s total of 9,900. The average price, meanwhile was $569,393 – down 8.1% year-over-year. It also fell 14% month-over-month. The reason for the price decline, according to the BCREA, is due to the impact of the 15% foreign sales tax as well as a decline in high-end home sales. 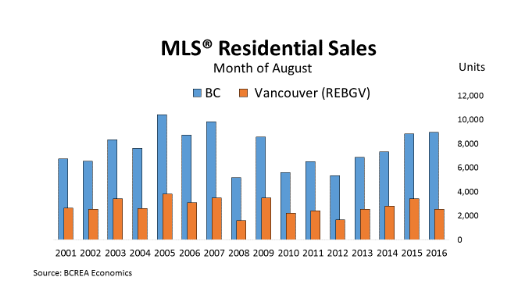 "Strong housing demand across most regions of the province offset slowing home sales in Vancouver last month," Muir said. 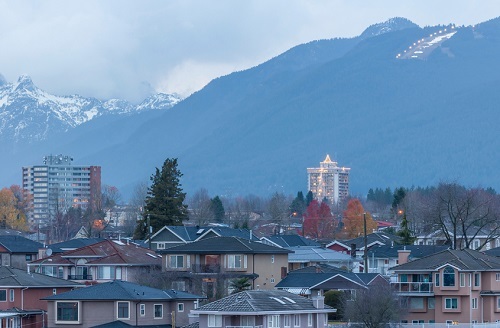 "The newly introduced 15 per cent foreign buyer tax combined with the 3 per cent property transfer tax on homes over $2 million brought in earlier this year, slowed demand at the top end of the market in Vancouver last month."